Ms. Marisela Torres is often described as the "backbone" of the company in her role of Training Coordinator. 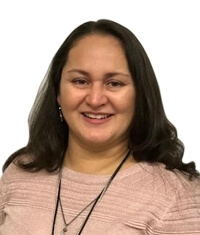 Ms. Torres is responsible for coordination of course scheduling, registrations, pre and post notifications to federal and various state regulators, maintains the training database, along with client registrations, and client notifications of upcoming courses. Ms. Torres is bi-lingual and provides communication with the Spanish speaking clients. On top of these duties, Ms. Torres assists with the administrative duties that come with the day to day operations of running a business. Ms. Torres is a very important part of our AAA team and has been with AAA Environmental since 2005. Ms. Torres graduated from Spartanburg Community College in 2002.